Cruttenden, the founder of Roth Capital Partners, co-founder of the micro-investment application Acorns, and the former head of eTrade’s investment banking arm, has managed to raise another $7 million for his startup, Blast — which wants to give users a way to save money while playing video games. “When I was in the securities business we talked about gamifying investing and saving,” said Cruttenden. Now, with Blast, Cruttenden is flipping the script and providing investment perks for people who’re playing video games. Using Blast, gamers can save in two ways. The first is by siphoning off money (ranging from one cent to ten cents) while they play games. They can also make money for trying new games and advancing in levels in the popular games they’re already playing. For gaming companies, Blast is another way to encourage players to stick around by offering small financial rewards for their game play. For Blast users, the idea is that they can save money (at a 1% interest rate — which is higher than most banks are paying out these days), while Candy Crush-ing the day away. Since raising its initial $5 million round in March, Blast has managed to attract a few thousand users in its open beta. And those users are typically saving between $30 and $40 per month, according to Cruttenden. Investors in the company include the self-help guru Tony Robbins, financial technology investment firm CreditEase and RX3, an investment fund based in Orange County. The company said it would use the money to roll out new features, including a leaderboard, which rewards top-ranked gamers with cash prizes of up to $1,000. Blast’s savings work with games on the Google Play Store and will be compatible with PC games — including Counter-Strike: Global Offensive on Steam. To start saving with Blast, users need to download the app and create a wallet in the app that’s linked to a checking account. 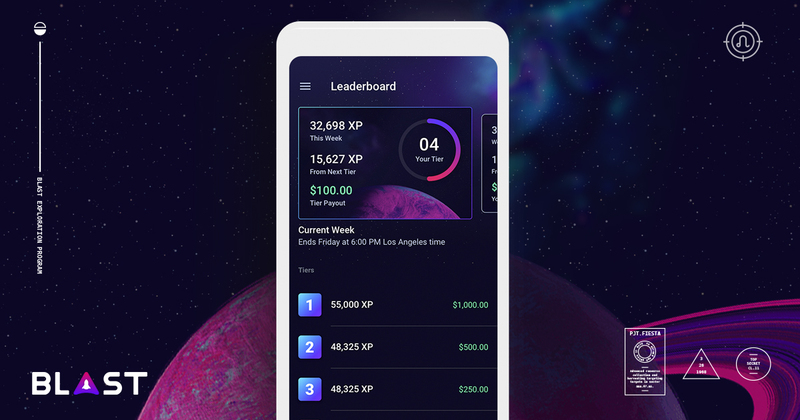 Once the account is set up, gamers can save in three ways, interest paid on balances, dividends from missions (rewards for playing), and payouts from the weekly leaderboard. Blast tracks game play across some of the most popular games like Candy Crush, Arena of Valor and Clash Royale on android devices, and will launch on iOS in the fall. The company had previously raised $5 million from investors including Core Innovation Capital, Great Oaks Venture Capital, Snowmass Private Equity, and the law firm Wilson Sonsini Goodrich & Rosati.